What's Paul doing in that last photo Rob? thinning out the herd a little and upgrading a few projects. 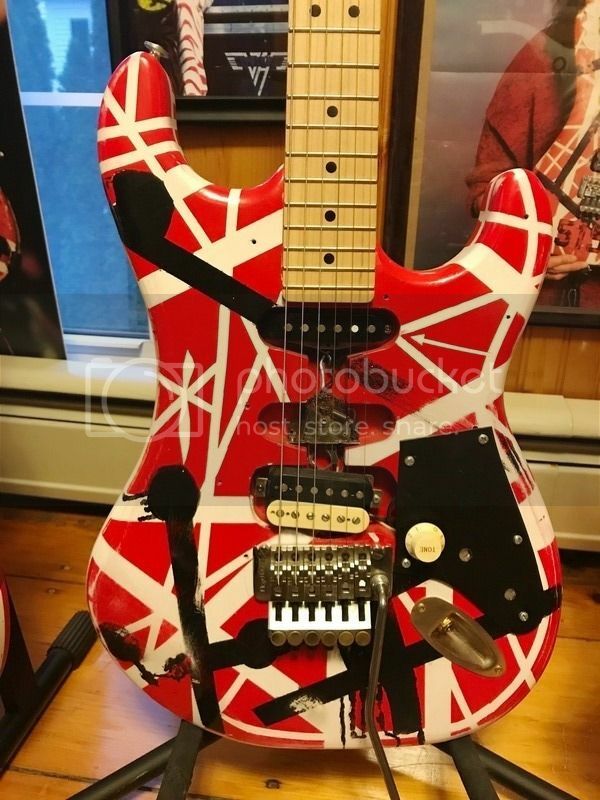 I am selling the body only (no hardware except pickguard and 500K pot / knob) of this original Kramer 80s era Pacer deluxe "EVH Neptune" replica. 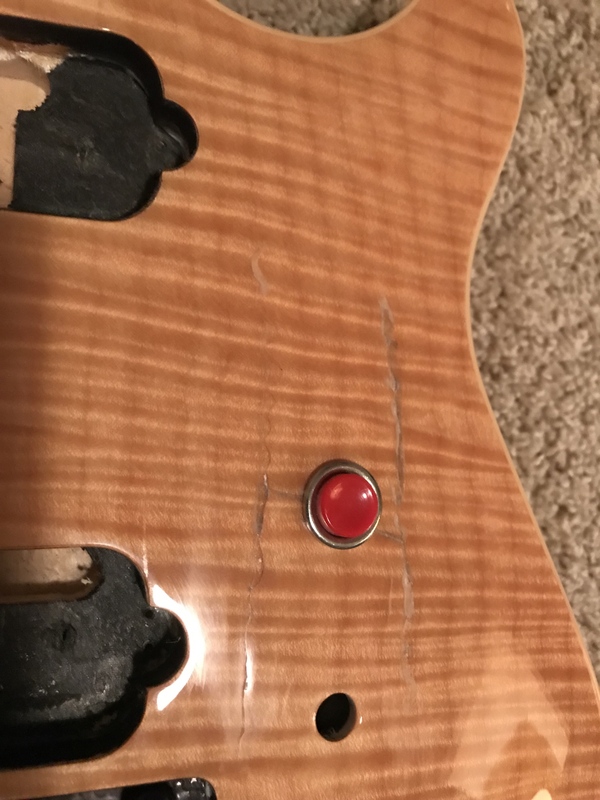 I routed out the pickup cavity to look like Ed's original monster which is now in the LA / Hollywood Hard Rock cafe. This body was painted by me and stamped under the neck pocket by non other than Paul Unkert himself when I visited his shop in 2015. 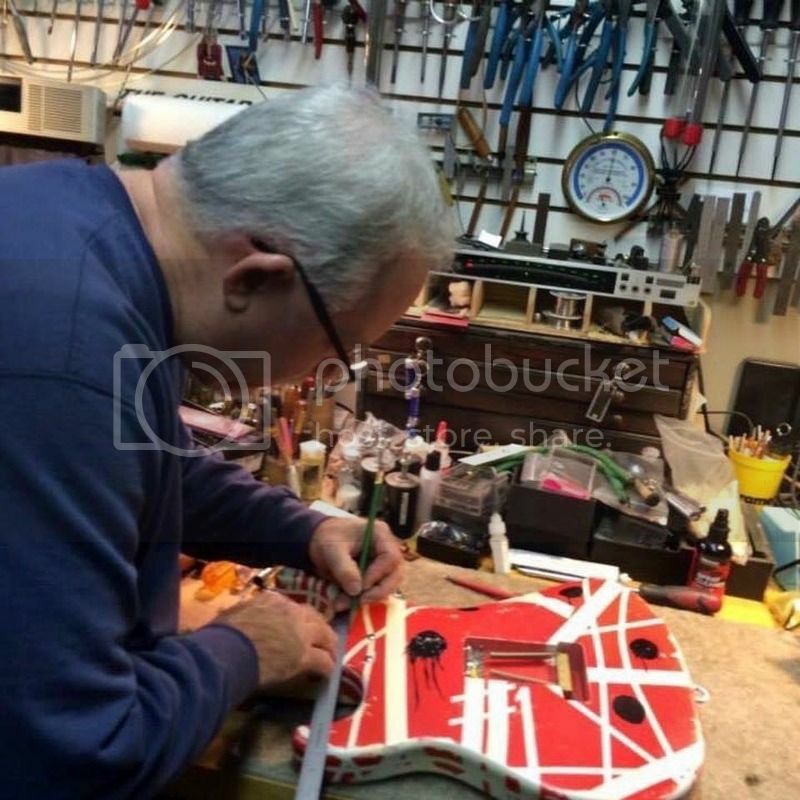 It was neat to see Paul stamp this guitar and work on it being he was the original one to build the original. Lots of good memories he shared on this one. 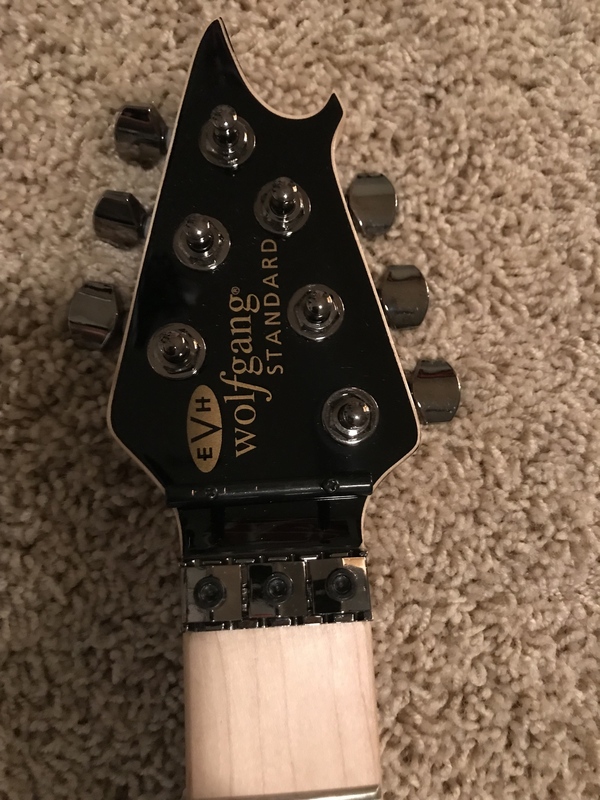 Very accurate replica of the Kramer Neptune guitar. 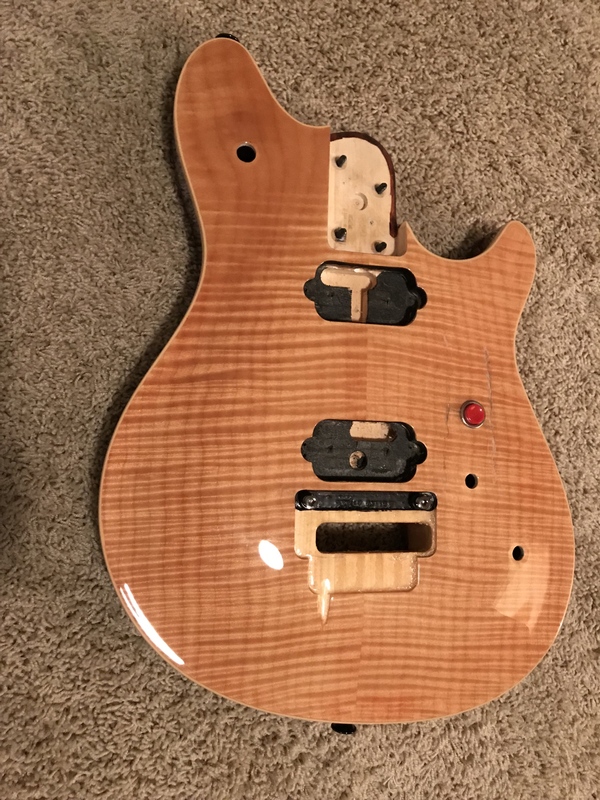 Again this is for the body, pickguard, pot and knob only. 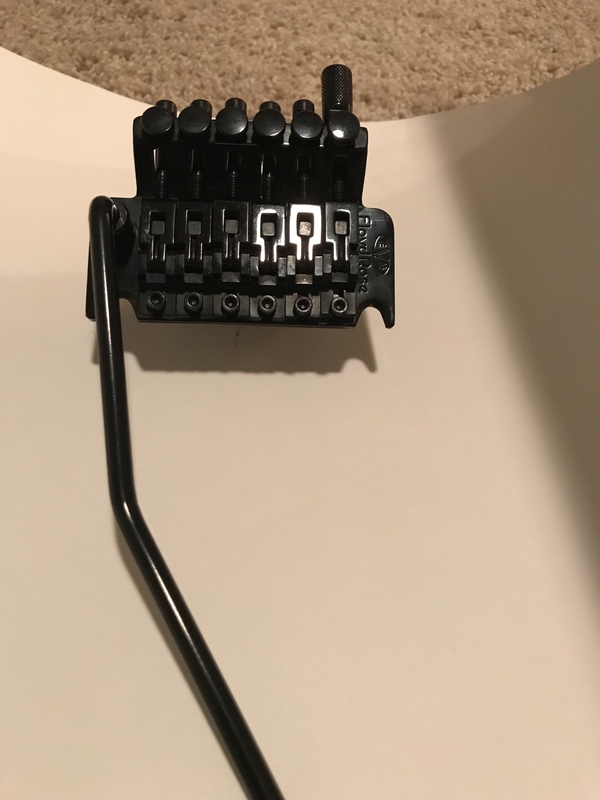 Or go to www.stratosphereparts.com and buy it or others direct. 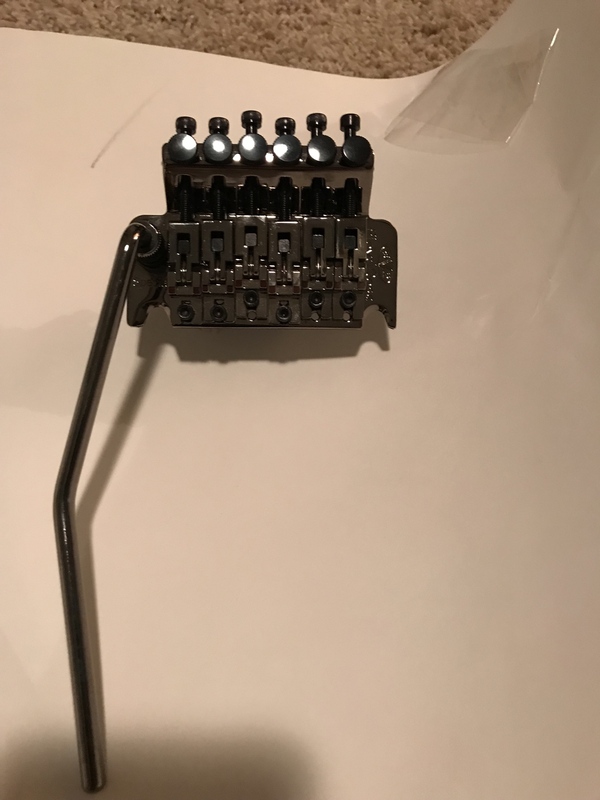 I need to unload some EVH parts I have on hand. 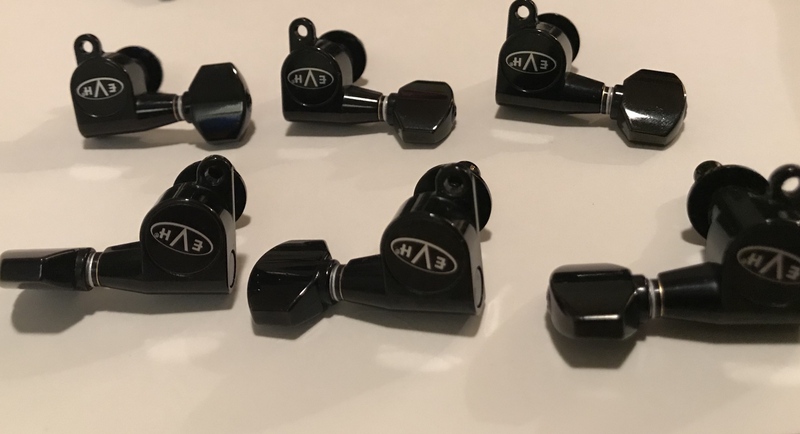 Thought I would put them up here for my fellow Linkers before I put them on eBay. 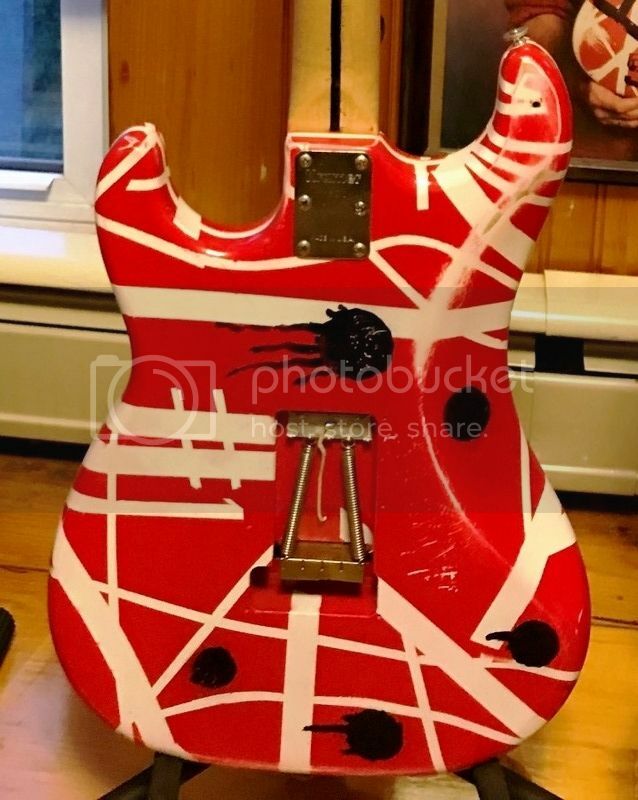 EVH Special Body (damaged where original owner installed a kill switch). The body looks fine except where the cracks are (the cracks are under the surface of the clear coat. I assume this could be repaired. 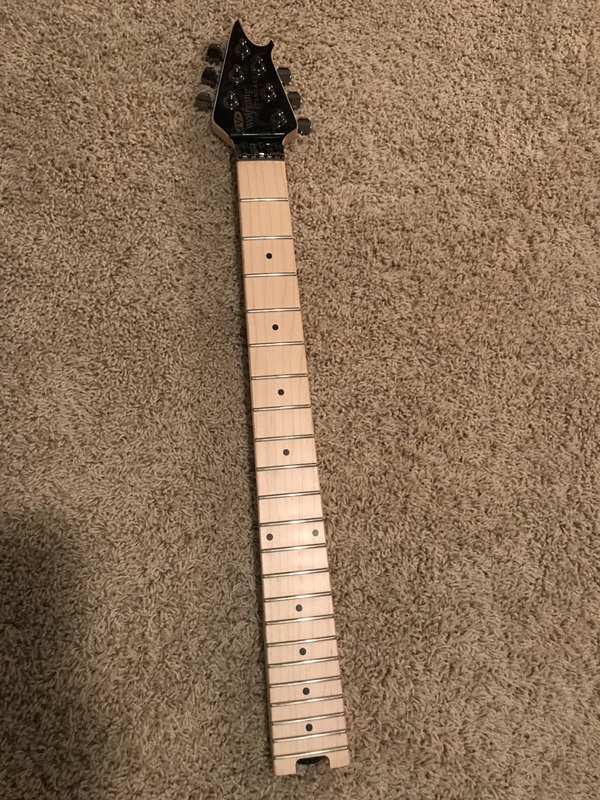 WTB: EBMM EVH, preferably blue quilt. Not a deal breaker though.